Gade meyè foto nouvèl ki soti atravè mond lan. 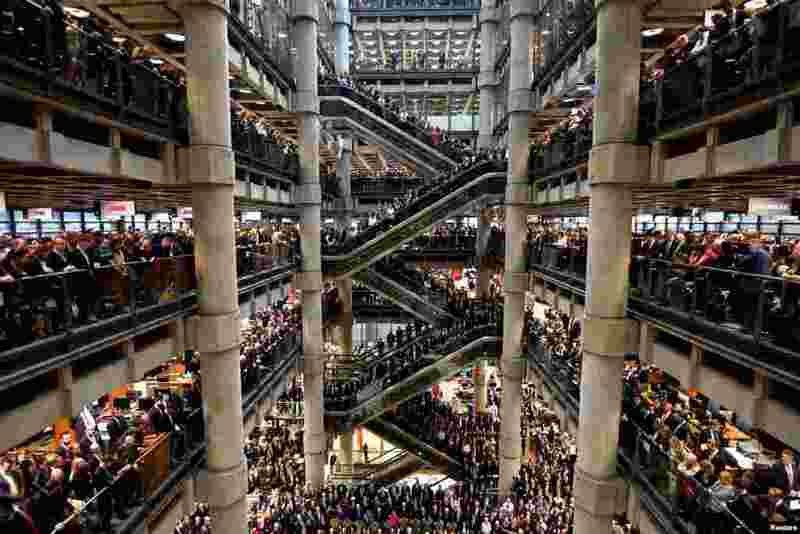 1 Workers stand during a Remembrance Service at the Lloyd's building in London. 2 Model Adriana Lima presents a creation during the 2018 Victoria's Secret Fashion Show in New York, November 8, 2018. 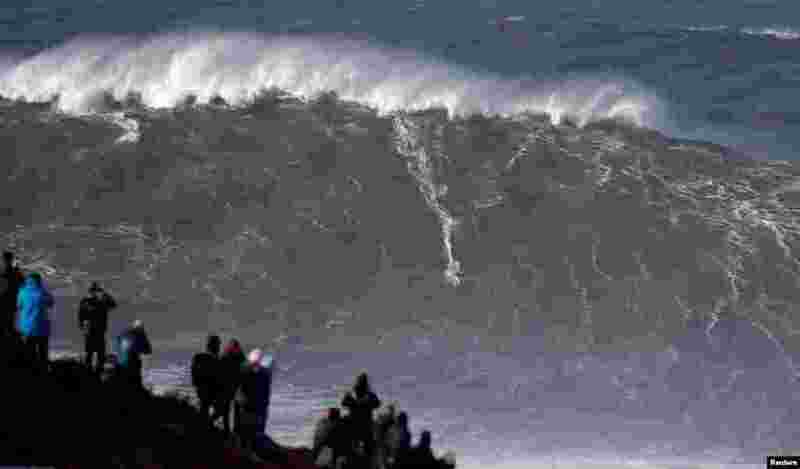 3 Big-wave surfer Sebastian Steudtner of Germany drops in a large wave at Praia do Norte in Nazare, Portugal. 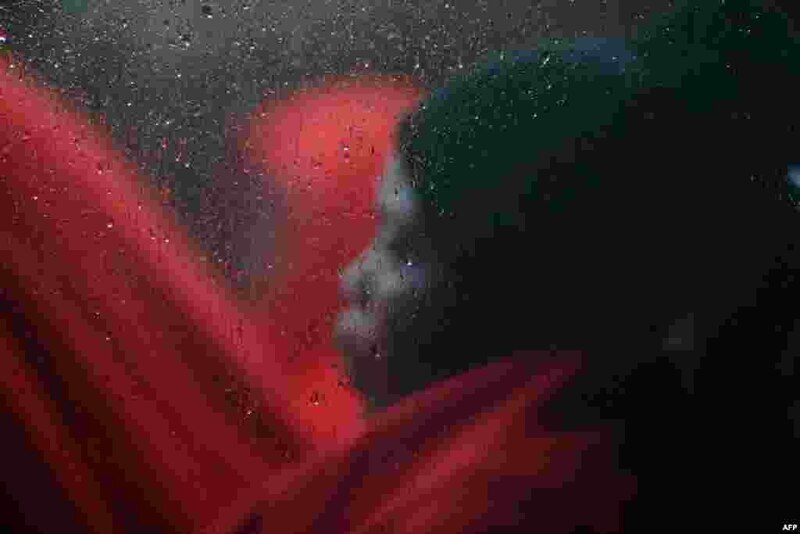 4 A migrant woman, intercepted off the coast in the Mediterranean Sea, sits in a bus after disembarking from a rescue boat at the port of Malaga, Spain November 8, 2018.